Most people get excited about the spring, but it's my least favorite season. Because what that means in Portland is rain, rain and more rain. This is around the time when the sky turns a dull, oyster gray and remains that way every day throughout June. And sure, although the city begins to blossom, you can't really enjoy it because of the constant drizzle that's flying into your face. 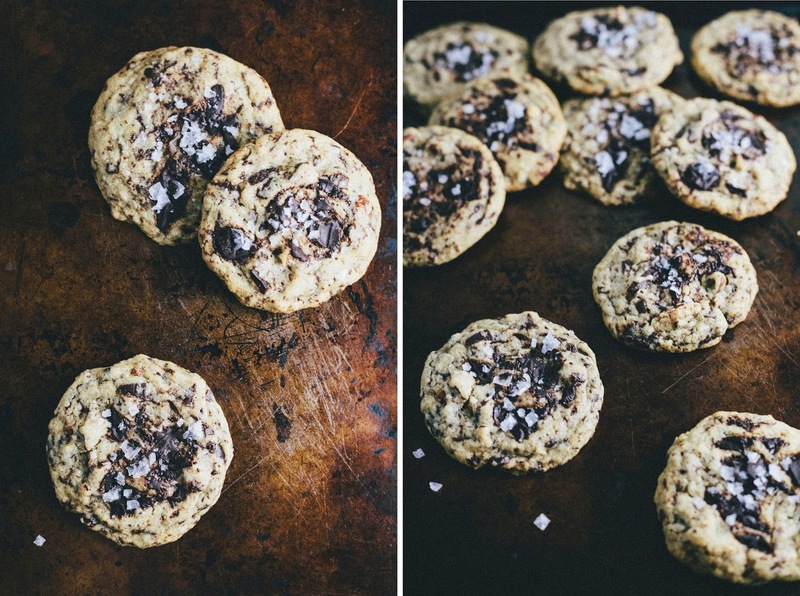 These cookies come by way of Heather, one of my favorite food bloggers over at Flourishing Foodie. 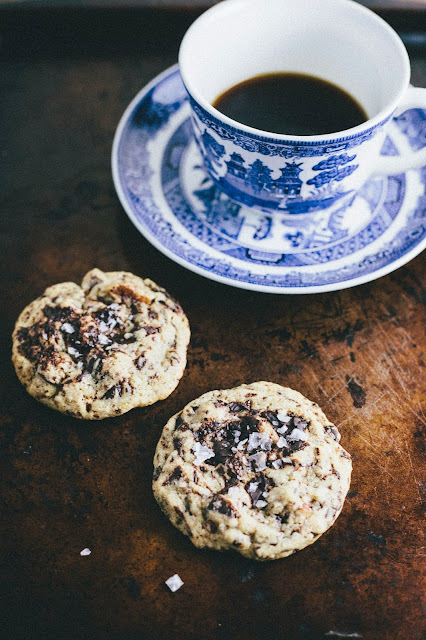 All my favorite comfort flavors are in this cookie: brown butter, chocolate, maple, pecan, and sea salt. 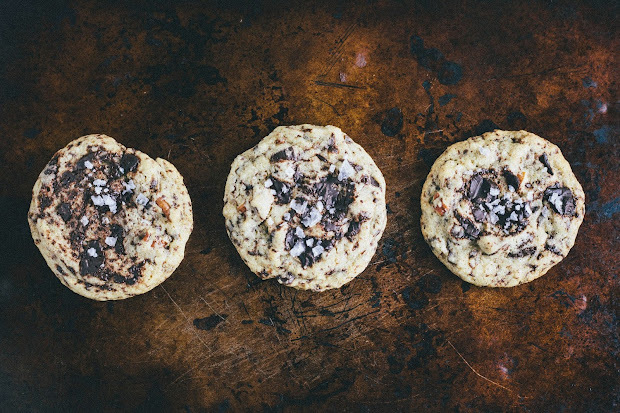 I topped my cookies off with a sprinkling of vanilla infused sea salt from beloved local company, Jacobsen Sea Salt. It's everything I need for my nights in, huddled in blankets and sweats, as I watch House of Cards for the third hour in a row. That being said, I think it might be time for a vacation. As much as I love Frank Underwood and these cookies, I'm starting to feel like I'm in a bit of a rut. Some real sunshine could do me good, as opposed to my somewhat unhealthy fallbacks of butter and sugar. My vacations usually consist of me visiting old friends in cities like San Francisco, New York, or London, but I'm hankering to go somewhere new. Preferably cheap and within the United States. Does anybody have any suggestions? Preferably with good food, of course. I found maple sugar in the baking section of my local Whole Foods. It's pricier than regular granulated sugar, but is light brown and tastes like maple syrup. The stuff smells like breakfast in heaven. It gives the cookie a subtle, but distinctive extra something-something. 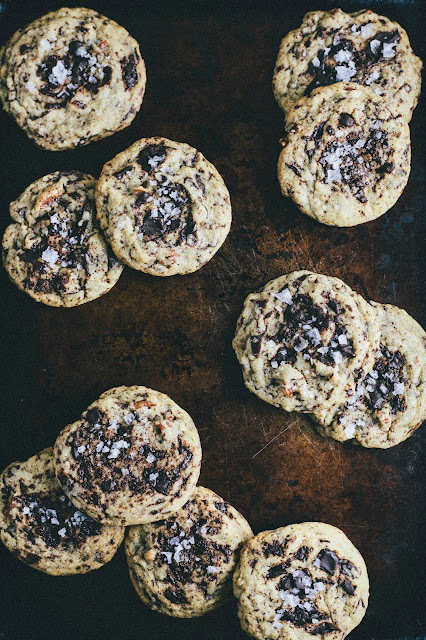 You can substitute with regular granulated sugar if you'd like, but the cookie will then taste like a regular chocolate chip cookie with some pecans thrown in (which isn't necessarily a bad thing at all). If you don't want to shell out for a small jar of Jacobsen's vanilla sea salt (which is also pricey, I know), feel free to use a different kind of flaky salt. Heather used Maldon sea salt, which is commonly available at fancy grocery stores like Whole Foods. These cookies work best if you chop up your chocolate unevenly, with a variety of smaller and larger chunks. The smaller chocolate pieces will melt into the cookie dough, while the larger pieces will retain their shape to give the cookie the classic chocolate chip cookie texture. Similar to maple sugar, brown butter is one of those secret ingredients that seems to enhance the flavor of almost every baked good with its rich, nutty flavor. 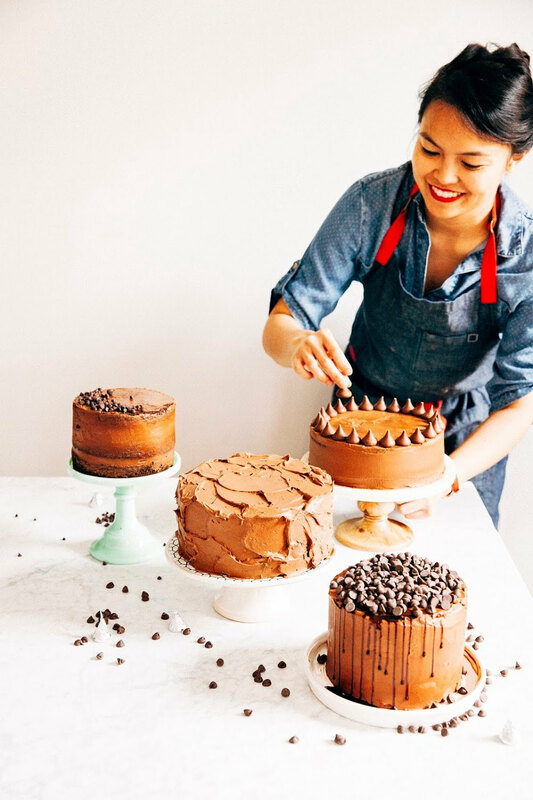 It's incredibly easy to make, but Jessica from How Sweet It Is has an awesome post with great pictures to help you perfect the technique. Place 1/2 cup (1 stick) unsalted butter in a medium, heavy bottomed saucepan over medium heat until the butter melts and begins to foam, swirling the pan occasionally to ensure it melts evenly. The butter color will turn from a lemon yellow to a golden tan before finally reaching a toasty brown. Once the butter reaches this color, it should emit a nutty aroma. Take pan off heat and set aside on a wire rack to cool to room temperature. In a medium bowl, whisk together 1 cup plus 2 tablespoons all-purpose flour, 1/2 teaspoon baking soda, and a pinch of kosher salt. Set aside. In the bowl of a freestanding electric mixer fitted with a paddle attachment, combine cooled butter and 1 cup maple sugar. Beat on medium-high speed for 2 minutes, until the mixture is light and fluffy. Add 1 large egg and 1/2 teaspoon vanilla extract, and continue beating on medium high for 3 to 4 minutes. Lower the mixer volume to its lowest speed and add the dry ingredients (from the 3rd step) all in one go, mixing until just combined. DO NOT OVERMIX. Add 3 ounces roughly chopped bittersweet chocolate and 1/2 cup pecans, and continue mixing until just combined and the chocolate and nuts are evenly distributed throughout the batter. Cover in plastic wrap and chill for 1 hour, to allow the dough to harden and absorb all the flavors from the ingredients. When the dough is slightly chilled and easier to work with, center a rack in the oven and preheat to 350 (F). 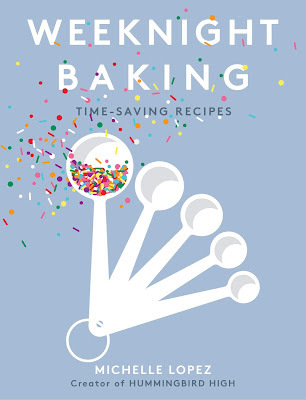 Use a 1 tablespoon-sized cookie dough scoop to portion out a heaping tablespoon of dough, using your palms to roll each cookie into a ball and place on a parchment or Silpat-mat lined baking sheet. Place dough balls 2 inches apart. Take the remaining 1 ounce extra chocolate pieces and press into the tops of each cookies. Bake the cookies for 10 to 12 minutes in the preheated oven. The outsides of the cookie will be light brown, but the center will still be soft. They will harden as they cool, so it's better to underbake than overbake. 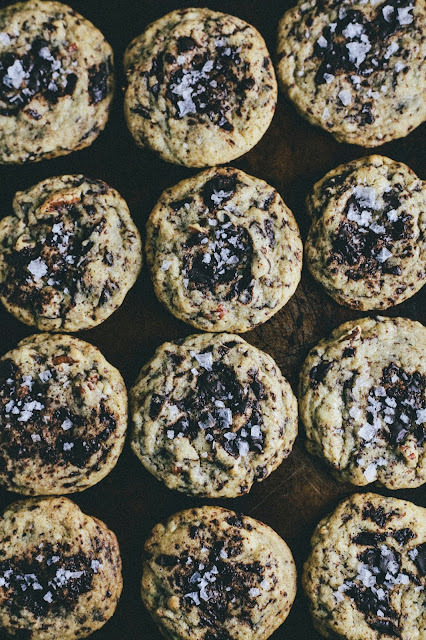 Remove from the oven and sprinkle each cookie with a pinch of Jacobsen vanilla sea salt. Allow the cookies to cool completely on the baking trays on a wire rack. OOoooh, these look SO good. I've been wanting to try brown butter in chocolate chip cookies for awhile now (because let's be real, what doesn't brown butter improve by a million?) and with maple and pecan, too? Shut up. I need to bake these at some point. These cookies look incredible! 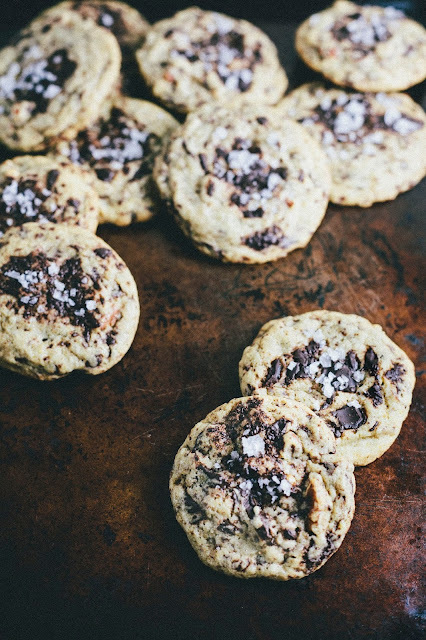 I'm a sucker for anything with Brown Butter and I'm sure that Jacobsen's Vanilla Sea Salt just takes these over the edge! Oh, I'm definitely going to be trying these!